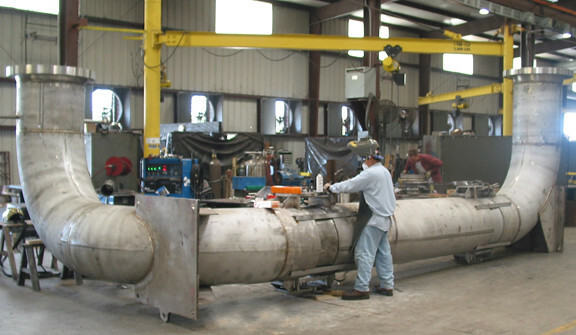 U.S. Bellows, Inc. custom designed and manufactured three 2’ – 6” OD x 23’ – 1/3” long expansion joints for a refinery in New Jersey. The bellows, pipes, and lugs were fabricated from Inco 800H high nickel alloy, A312tp 316H stainless steel, and A240tp 316H stainless steel, respectively. The expansion joints are designed for 60 PSIG, 1100°F, and 47,000 lbs. of thrust to accommodate for a high temperature application.